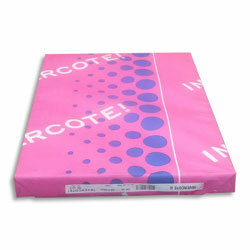 We supply Invercote Creato Two Sided Board in a range of sizes, weights and box/pack size. Browse the range below and order online. SBS (Solid Bleached Sulphate) matt coated two sided board. For the highest quality graphical applications. 1 - 9 packs - £14.89 per pack. 10 + packs - £12.19 per pack. 1 - 9 packs - £16.29 per pack. 10 + packs - £13.29 per pack. 1 - 9 packs - £17.29 per pack. 10 + packs - £14.09 per pack. 1 - 9 packs - £17.59 per pack. 10 + packs - £14.29 per pack. 1 - 9 packs - £18.79 per pack. 10 + packs - £15.29 per pack. 1 - 9 packs - £20.69 per pack. 10 + packs - £16.89 per pack. 1 - 9 packs - £21.89 per pack. 10 + packs - £17.89 per pack. 1 - 9 packs - £27.49 per pack. 10 + packs - £20.39 per pack.